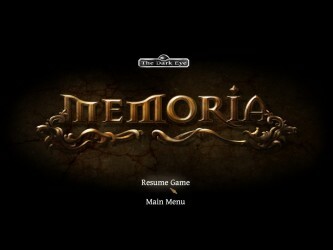 After our recent preview of Memoria, we were lucky enough to get our hands on the full version. Rather than rehashing what I’ve said previously, I’ll try to focus this review on the additional material I’ve uncovered since getting the finished version. 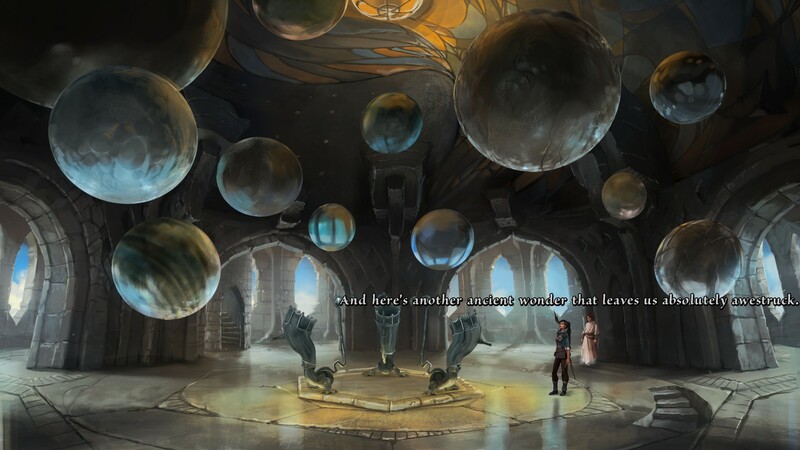 Everything in Memoria is depicted with gorgeous digital paintings. 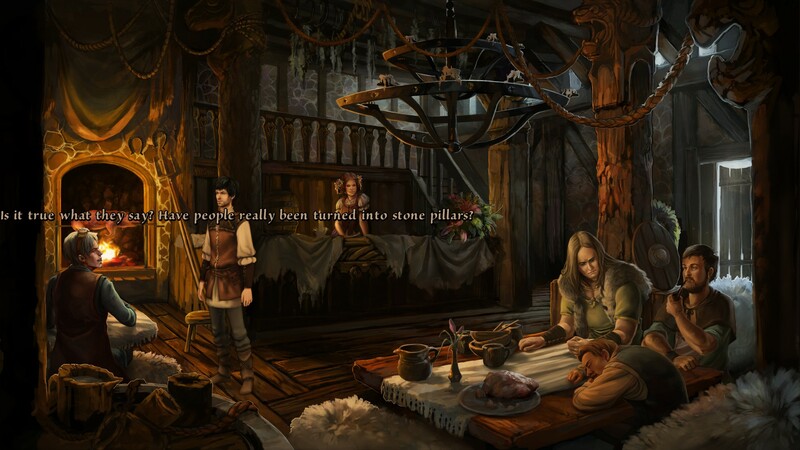 The setting is a classic fantasy world, filled with equal parts mystical wonderment and medieval squalor. 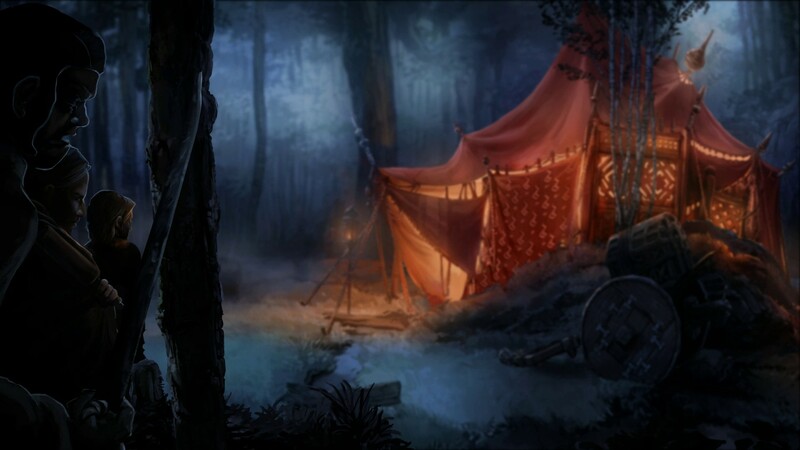 The framing device of the story primarily follows a character named Geron through his deep and detailed world, but the meat of the visuals usually comes during the flashbacks to the secondary tale following an ancient princess through a variety of environments. 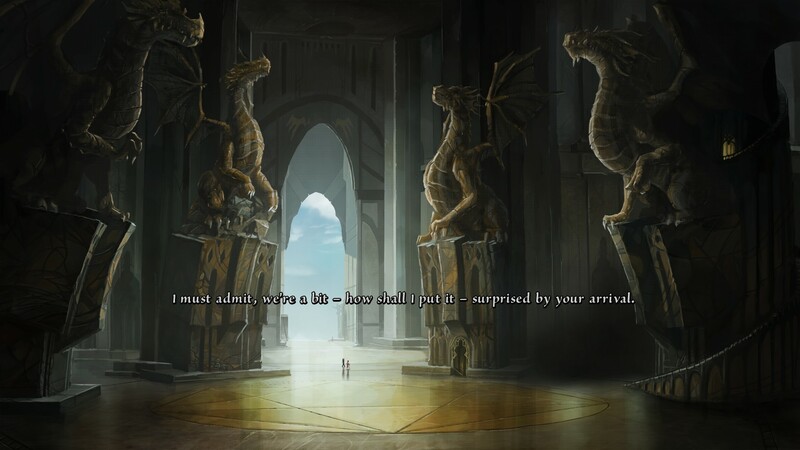 These range from Tolkien-esque catacombs to dense, foggy forests, icy mountains, and ancient dragon-forged fortresses. I consider myself a connoisseur of dragons, and these meet with my approval. Far from simply beings static backgrounds, much work has been put into giving these settings life. Animals forage, children bathe, shepherds groom and shear their flock, and any number of background flavor elements keep the often-revisited areas from becoming too stagnant. In an adventure game that requires you to scour every speck of screen for something useful to solve the present problem, this is a blessing and a curse. 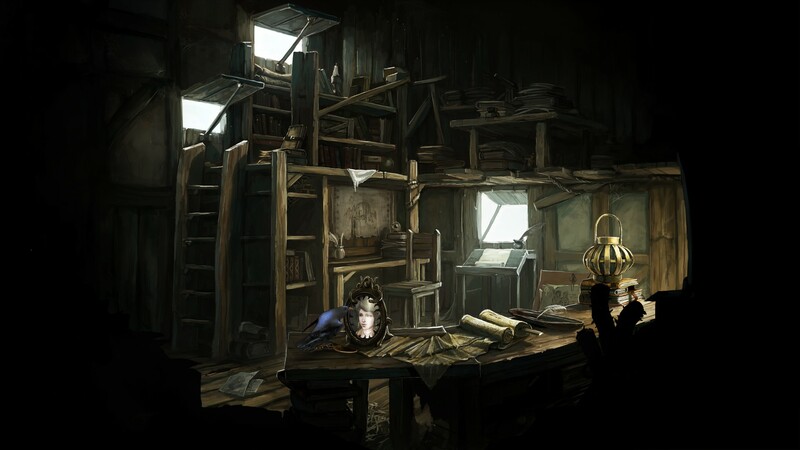 It is a blessing because it keeps you interested in the world, but a curse because the art is so skillfully made that there is no seam, no telltale color shift, no sign at all what part of the world is providing you with a clue or a guide to what items you should be gathering. 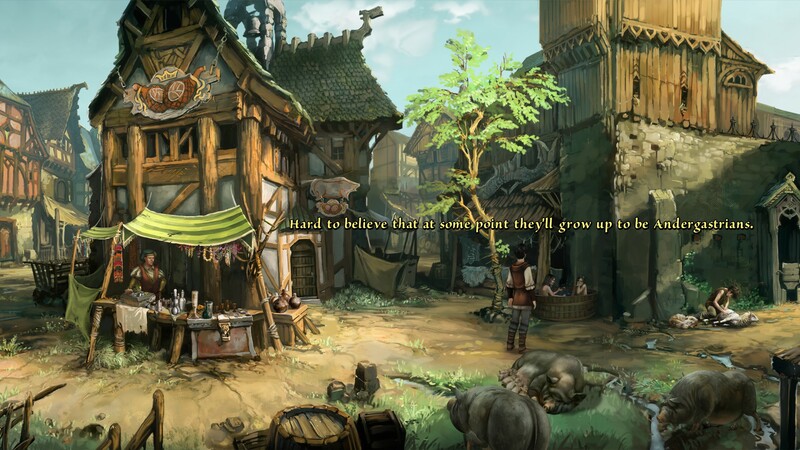 All you have is your keen intellect… and the space bar, which reveals all interactive elements in the scene. A handy tool that saved no end of frustration, and prevented me from having to sweep the mouse pointer endlessly. I respect that the massive ice statue is ONLY there for flavor. As I’ve said elsewhere, mechanically, this game is purely a classic point and click adventure. 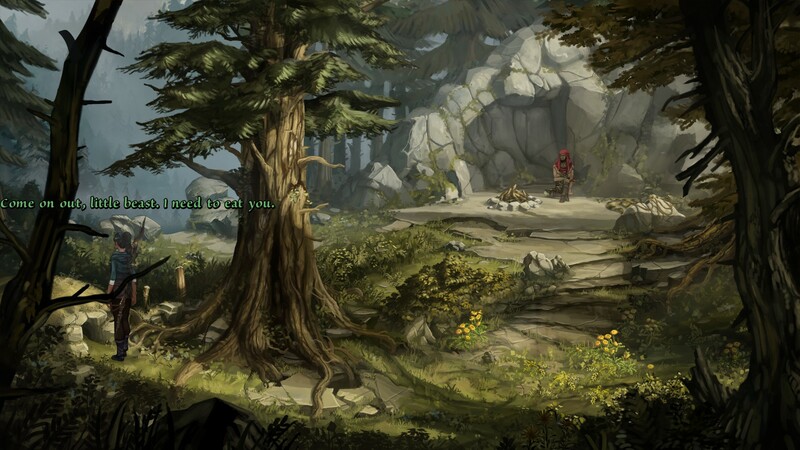 Aside from the hotspot highlighting space bar, this could easily be a King’s Quest game, save a few notable additions. The most notable is the spell system. Beside your normal items in your inventory is a section devoted to magic spells. These spells work as a sort reusable item in your inventory. Early on they are simple; activate or deactivate mystical items, break or repair fragile things. I don’t know if it was the novelty of having such an item, or just my own sluggish mind, but nine times out of ten if I was stuck on a puzzle it was because I hadn’t thought to use these. The situation becomes even more complex once the spells move on to showing you the presence of magic (functionally a second layer to the hotspot reveal) or sending visions to people in order to influence their actions. 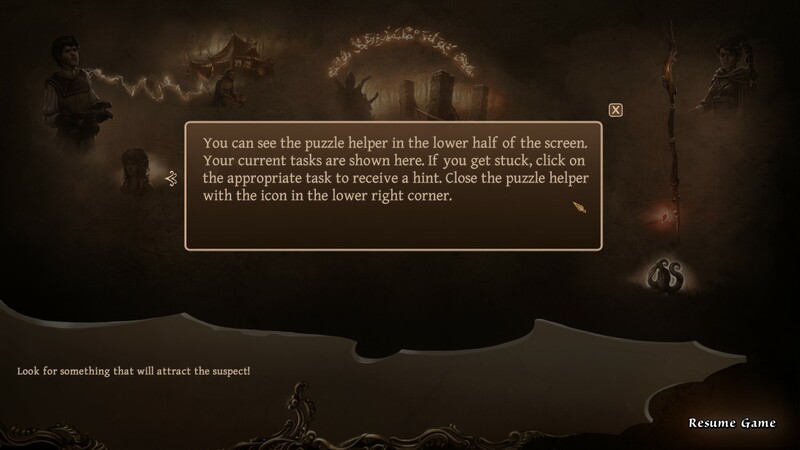 More important than the tools you are given to solve puzzles are the puzzles themselves, which naturally are the core of any good adventure game. I was impressed by the variety on display. 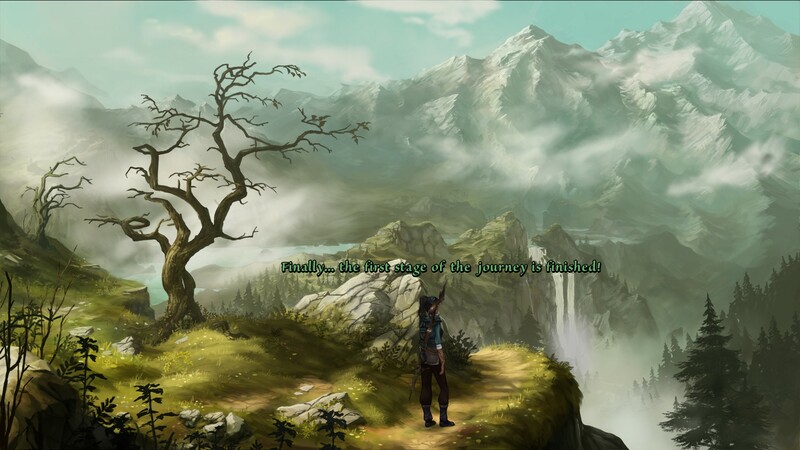 Yes, many of them are what we’ve come to expect from adventure games. Fetch me this item from that person and I’ll give you this item for that purpose. Others, though, are either completely unique, or else I solved them in an utterly idiotic way. 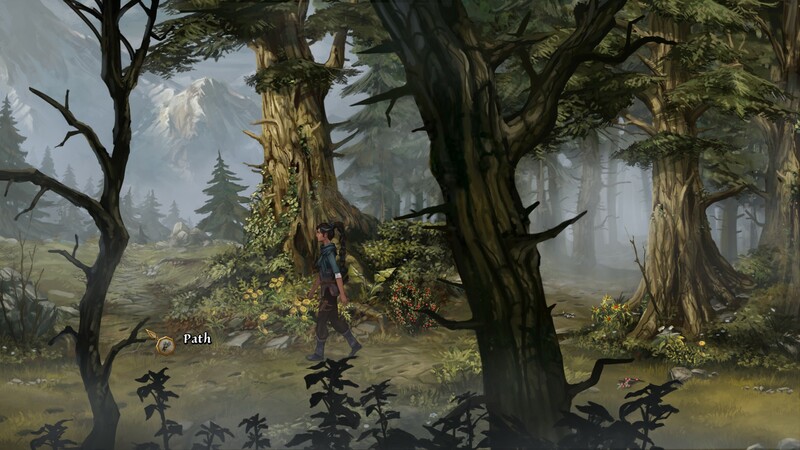 One puzzle requires you to navigate veritable maze of forest passages in search of someone. As an inexperienced tracker, you should be following footprints and such, but since it is difficult to tell the right way from the wrong, you are also given two different color berries in order to mark your path. It is up to you to develop the proper system to find your way to all necessary items and back again. I found it all the more challenging and rewarding when I finally reached freedom using my own guile rather than the canned solution the developers had in mind. Picture how you think this person should sound. She sounds like that. The primary difference between the preview and the finished product, from my point of view, was the presence of English dialog. Not that I have any problem with reading subtitles in theory, but in practice I found German to be a rather difficult language to ignore, and thus found myself distracted from key information more often than not. That said, I was worried that the English dubbing might have been low quality, since it was a later addition to the game. I shouldn’t have been. 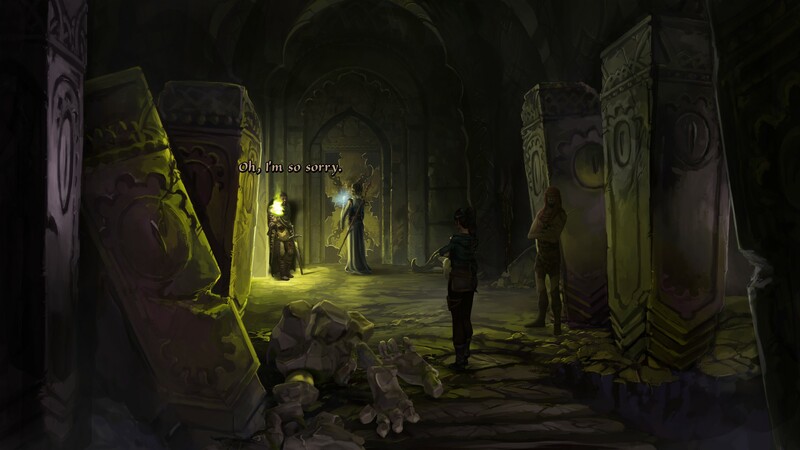 The characters’ voices are extremely well cast, and the dialog well read. The pompous master wizard, the feisty and spirited young prodigy, the melancholy fairy trapped in another form are all just as you’d imagine them. The odd line here or there sounds a bit off (I swear when Hilda says hello to me it sounds like text-to-speech) but other than that nothing about the English dialog sounds secondary or otherwise like an afterthought. And heck, if you really want German back, you’ve got your choice of voice and subtitle options right at the start screen of the game. 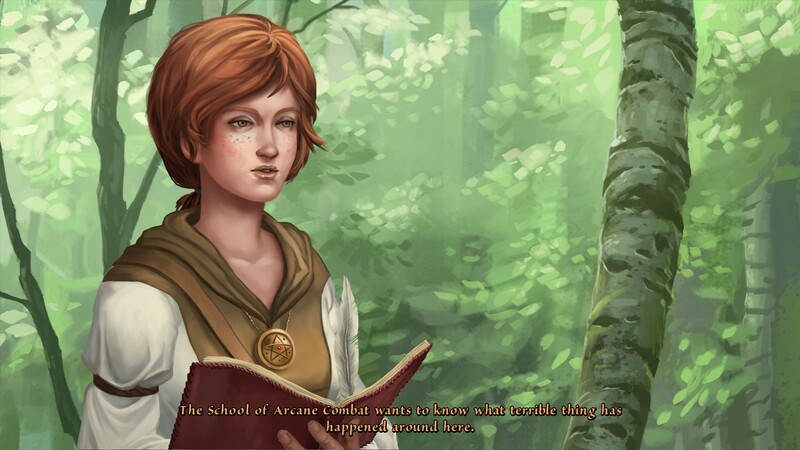 The framing story of a young novice wizard trying to solve an ancient puzzle, wrapped around the ancient tale of a princess eager to arm herself for war is deep and intriguing. Deeper and more intriguing, however, is the world in which their story is told. This is a small part of a larger setting, and not the first piece of it to come along. 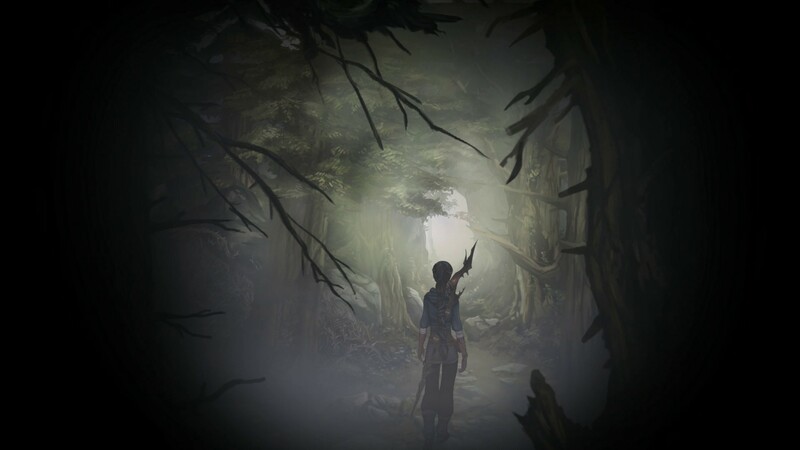 While it is true that the plot of the game is self-contained enough to allow you to enjoy it without background, playing through it had the peculiar effect of making it feel as though I knew less and less about the story the further I went. Characters that are new to me are treated as old friends with established roles. These roles are quickly defined in dialog and then the story rolls on. 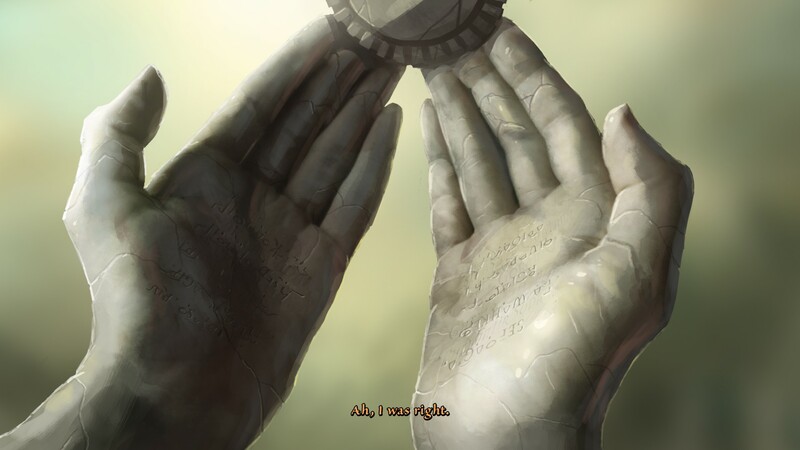 If you pay close attention, read every word of dialog, and work through the handful of “don’t you remember” scenes the game gives you, you can cobble together what is needed to interpret the story, but after a while it felt like I was putting together a jigsaw puzzle with no end pieces. Thus for me the story was both a strength and weakness, depending on the moment. You can tell when the game is going to lay some story on you, because things get all cinematic like this. I’ll also suggest that fans of the developer pay close attention, because there is a reference to an earlier game that goes so far as to suggest a crossover. Daedalic continues their impressive track record of serving up well built and well produced adventure games to appeal to art lovers and puzzle lovers alike. 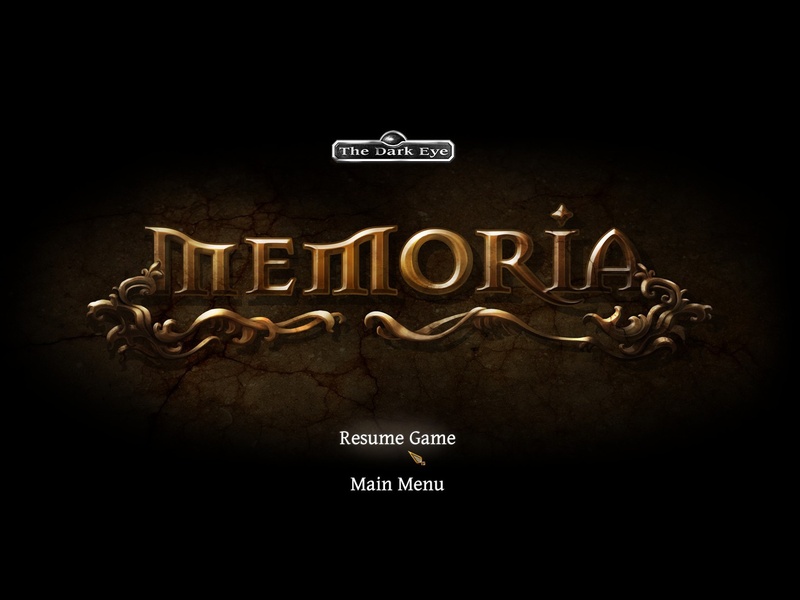 9.8 / 10: A visually exceptional game with complex and varied puzzles and high quality audio, Memoria is a masterpiece by any measure.